Also, the new RSP2 won’t be available from HRO ’till next week. Do we know if uses the same Mirics chipset as the RSP1? I haven’t cracked it open to look. You might contact SDRplay–I’m sure they’ll share that. I’m guessing it still is as I see the RSP2 as an RSP with iterative performance improvements and many more features/options. 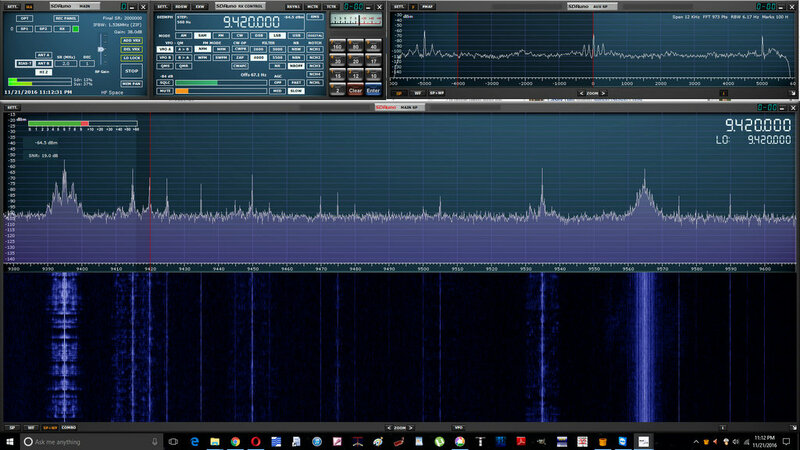 Actually, as a follow-up, I just looked through RTL-SDR.com’s excellent review of the RSP2. They did crack open the case and confirmed that the RSP2 is based on the same Mirics MSi001 tuner chip and MSi2500 ADC chips. Would be interesting to know how it receives LF beacons from 200 KHz – 530 KHz. Thanks Thomas for the heads up. Yes, Mario, it certainly will! Indeed, frequency coverage goes all the way down to 1 kHz. … and the medium wave broadcast band too. I see expanded features and capability in the RSP2 that appeals to a very wide range of hobbyists. It should be an excellent value at the RSP2’s price! For MW DXers, I’m struggling to find a specific improvement to DXing on the broadcast band. The preselection filter is still limited to 0-12 MHz as the first step, and the Mirics processor is the same as the original RSP. One positive new feature is the adjustable LNA which may help keep overloading under control when MW DXing from an area with strong nearby local signals on the band, and/or when using an amplified antenna like a Wellbrook loop.